The Honourable Karina Gould, Minister of Democratic Institutions, announced the reappointment of Kathy Fox to the Canadian Transportation Accident Investigation and Safety Board (TSB). A Member of the board since July 2007, Fox will continue to serve as board chair (with the new term beginning August 21, 2018), a position to which she was first appointed in 2014. TSB is an independent agency, created by an Act of Parliament in 1990. There are currently five board members and 220 employees at the TSB, headquartered in Gatineau, QC. “Canadians have been well served by Kathy Fox, to whom safety in transportation is paramount. 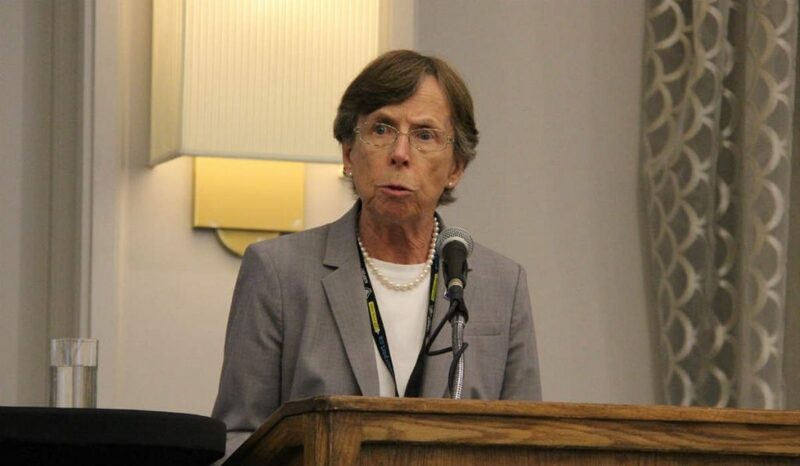 I wish to thank her for her service to Canadians and congratulate her on the news of her continued stewardship at the Transportation Safety Board,” said Gould. Fox has been actively involved in aviation in Canada for over four decades. In 1974, she began a career in air traffic control that culminated in senior positions with Air Traffic Services Headquarters in Ottawa. She transferred in 1996 to NAV CANADA to become director, safety and quality and, ultimately, vice-president operations, before retiring in June 2007 and accepting a position on the TSB Board. Among a number of awards and distinctions, Fox has received the Fédération aéronautique internationale Paul Tissandier Diploma, the Transport Canada Aviation Safety Award, the Elsie MacGill Northern Lights Award and the David Charles Abramson Flight Instructor Safety Award. Fox has been inducted into the Quebec Air and Space Hall of Fame, Canada’s Aviation Hall of Fame and the Women in Aviation International (WAI) Pioneer Hall of Fame. Her contribution to sport parachuting in Canada earned her the Queen Elizabeth II Anniversary Medal. Fox also holds an airline transport pilot licence and thrice represented Canada at the world championships of precision flying. She has flown over 5,000 hours.